Most commercial buildings demand the use of products that meet certain fire resistant requirements of building code to help ensure the safety of people within and around the builing. Knauf wall & ceiling systems have been tested in full accordance to the relevant international standard such as BS 476 part 22 & AS/NZS 1530.4. Resisting fire. Knauf has various wall and ceiling systems that can comply to international standard.Architect & Interior designer can select system with different ratings depending on the project and building requirements. Please Refer to the Knauf Techical Manual for the full information on each system’s performances on acoustic, fire & duty rating. 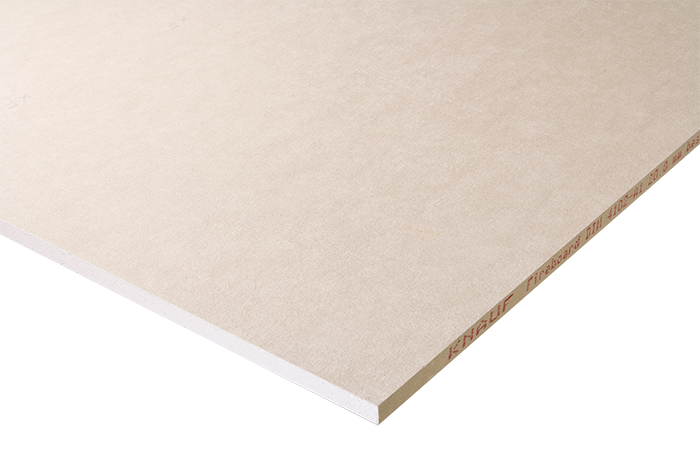 Knauf Fireboard is a gypsum based board specially developed for high performance lining and encasement.